Bournemouth borough council has started accepting mixed plastics for recycling under changes to its kerbside collection service. 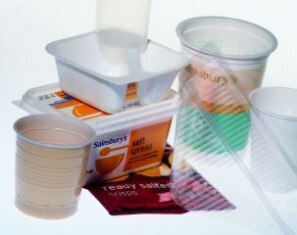 The local authority announced last week (April 3) that material including yoghurt pots, margarine tubs, ice cream containers and fruit punnets alongside PET and HDPE bottles, is now being taken. The material is collected commingled by local authority collection crews, before being sorted at waste contractor Viridor’s materials recycling facility (MRF) in Crayford, Kent. At the Viridor MRF, mixed plastics are separated from other materials using infrared optical sorters and air jets. The separated material is then flaked, washed and sold to reprocessors in Germany, France and China. The council cited improvements to its recycling rate and the boost to income that it would receive as a result of collecting the material as the reason it had opted to include mixed plastics in its collections. Viridor will pay the council £5 for every tonne of mixed plastic that it receives. Councillor Michael Filer, cabinet portfolio holder for transport, cleansing and waste, said: “This is something we have wanted to do for a long time. I would encourage all residents to help us by recycling plastic food containers which will improve the local environment and save public money. We are currently the best in the country for recycling and waste management and together we can recycle more and waste less. In 2010/11 Bournemouth council achieved a recycling rate of 63%, one of the highest in England (see letsrecycle.com story), but it predicts that around 10,000 tonnes of recyclable material is still being placed in residual waste by residents each year.